As you know, running a business is hard. Damn, hard! 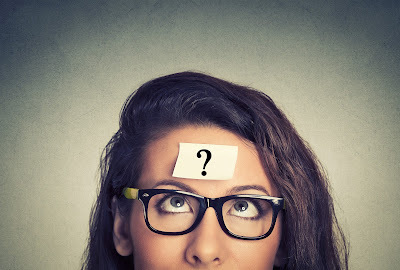 When starting any business, I think there are 2 most important questions that need to be figured out. One is fairly straight forward, and the other not so much. Below, I'll go through each of the questions and give you some information on how you can solve these questions for yourself. "Will anyone buy my product and service?" The first question is "Will anyone buy my product and service?" For an acupuncture practice, this question is easier to answer because there are already established models in the market place. You can point to a number of successful acupuncture practices just in your own city. Which means, a market already exists and you're not starting for scratch, like a new whiz bang gizmo no one's ever heard of. However, this still doesn't guarantee success. Your product and service is not merely acupuncture. It's the whole package. I think many people forget this. Your product and service includes your presentation, how you dress and speak, the look of your office, and even minute details like the linens you use. This is all on top of the acupuncture and health benefits you're providing to the patients. Every little detail is part of your product and service. As they say, you're selling an experience. The second question is harder to solve. And, not only is it harder to solve, it will constantly change throughout the lifecycle of your practice, which means you'll be forever, looking. The second question is "Where are my customers?" I would argue that this is the hardest question you will EVER have to solve for your business. It's a very personal question too. What works for one practitioner and office might not work for you and vice versa. I recently talked to an acupuncturist about how he grew his successful practice. He now performs acupuncture for pro-athletes, who demand to pay more for a higher level of attention and service. As, many of you are probably asking right now, I asked, how did he get that job??? So how DID he get his name into this very select demographic? In short, he had the opportunity to treat a patient with a popular blog that was read by this select group of athletes. The blogger had a wonderful experience and wrote about it. It was purely by chance! Magic! As a business owner, your job is to increase your chances of magic like this happening to you. While you can't control or predict when or how magic will happen, you can increase its likelihood. I think there are 3 ways to increase your chances. The first way is providing a great product and service. That goes without saying. Second, you have to survive long enough for magic to happen. The final and "magic" ingredient, is getting your name known by as many people as possible! How do you get your name known? In short, the answer is marketing. There are many aspects of marketing. It's more than just ads. Many people don't realize that there are many avenues for marketing yourself. They're called marketing channels. Many times, multiple marketing channels have to work together for you to be successful. Like I mentioned before, what works for one practitioner and office might not work for you, which is why constantly testing and trying different channels is necessary. 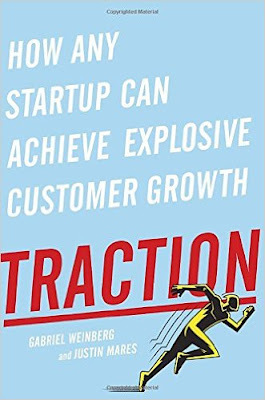 If you're interested in learning more, here's a great book called Traction, which goes through each of the marketing channels and gives ideas on how to implement them.